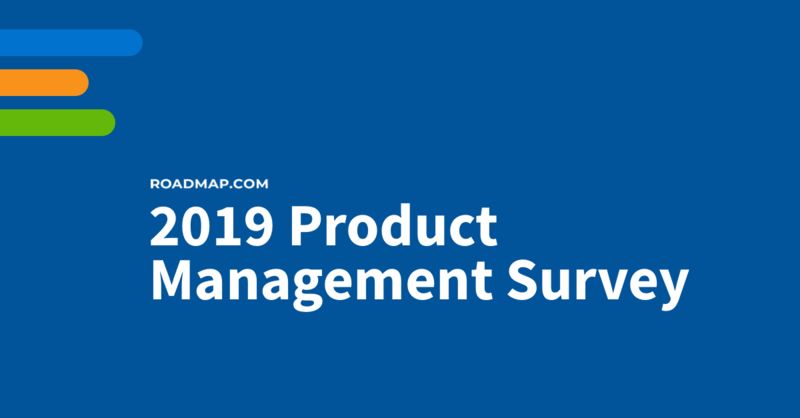 We just finished analyzing the results of the first-ever product management survey sponsored by Roadmap.com — and I want to share the fascinating results with you. Our Customer Success team at Aha! 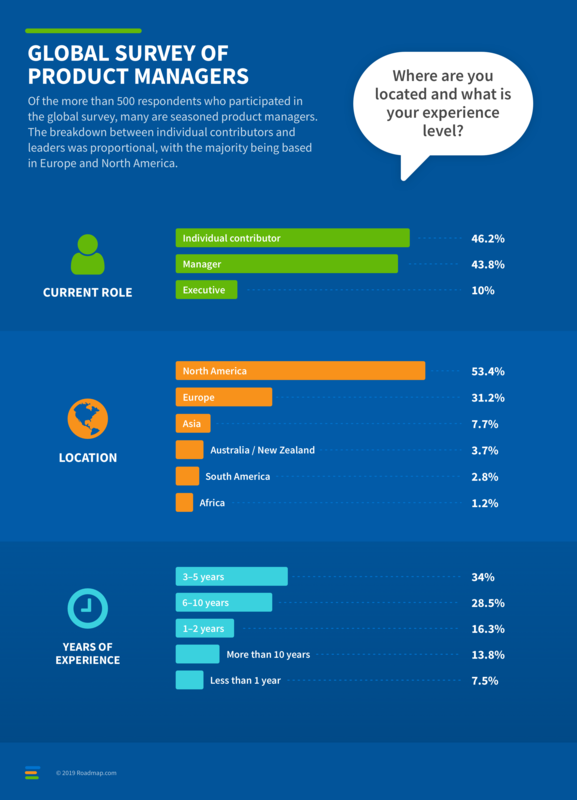 speaks with product managers every day, so we were not entirely surprised by the answers related to where you spend most of your time. 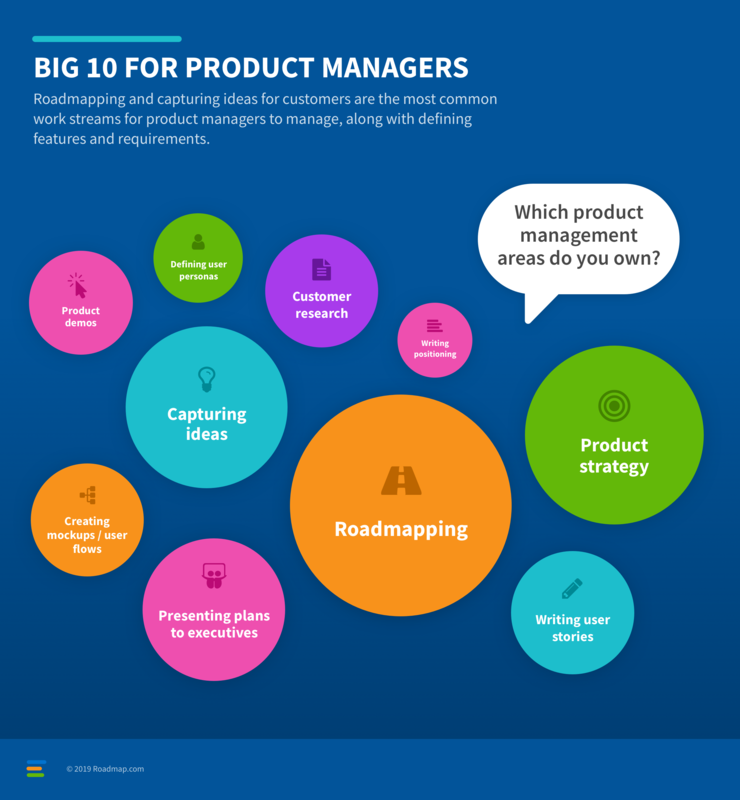 Roadmapping and capturing ideas for customers are the most common work streams for product managers to manage, along with defining features and requirements. 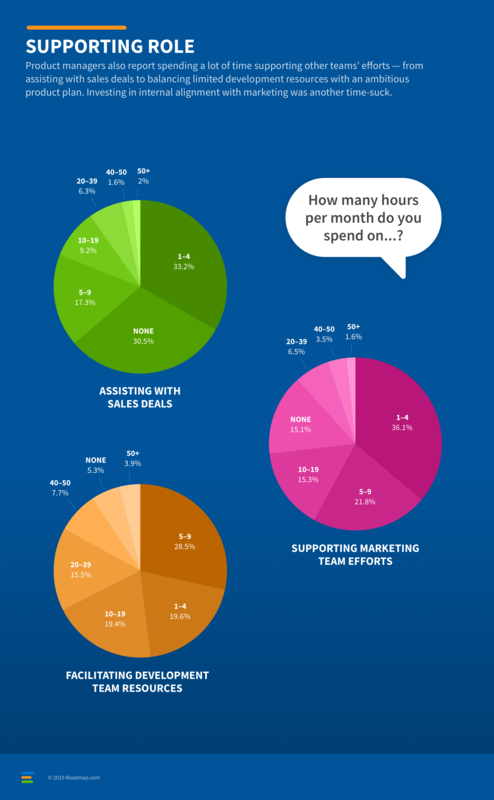 But we were curious to see that one third of respondents reported spending as much time assisting with sales deals as you do creating product roadmaps. Tough work, considering that more than half said your company sells five products and 30 percent of you are building and selling a whopping 25-plus products. 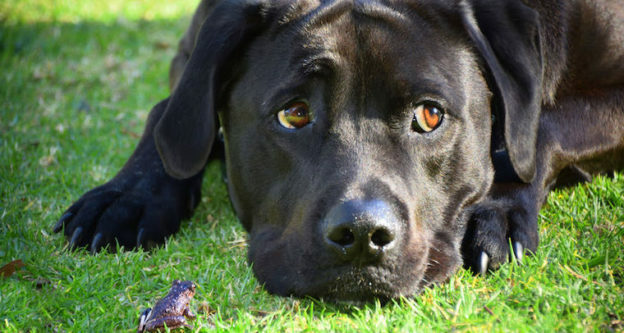 You are really, really busy and having a hard time keeping up with the demands for your time. 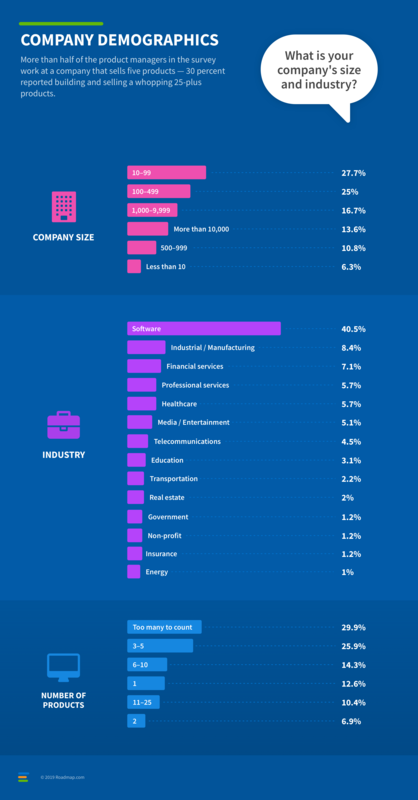 Looking at the data, it quickly became clear that commonalities exist for product managers regardless of experience, industry, and company size. There are three major themes that emerged as challenges — strategy, innovation, and go-to-market activities. This was just one quote but there were dozens more just like it. 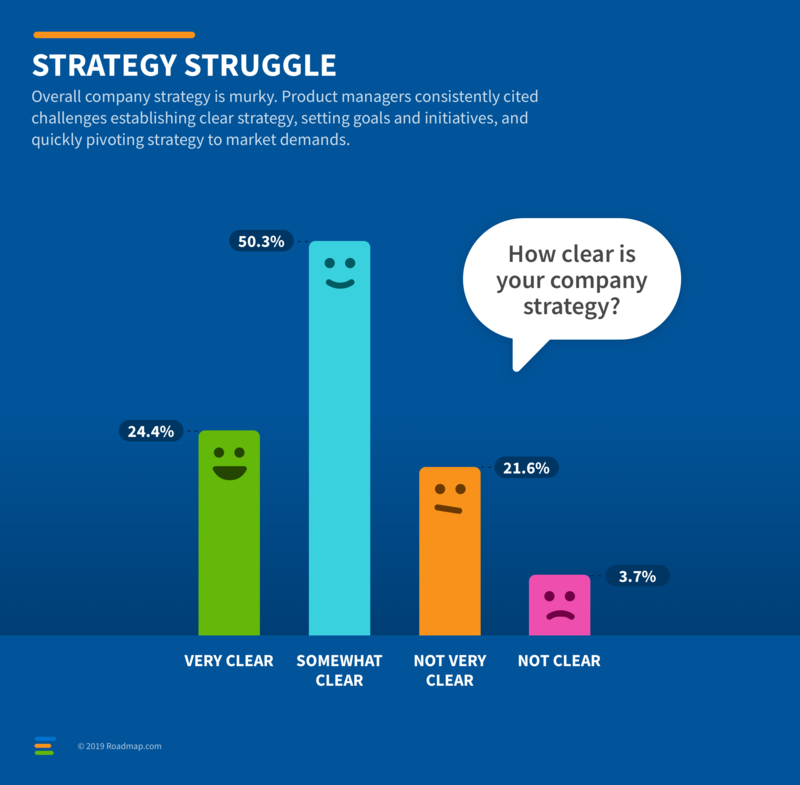 Product managers consistently cited challenges establishing clear strategy, setting goals and initiatives, and quickly pivoting strategy to market demands. Barely 25 percent of those surveyed said company strategy was very clear. Not surprising, but it is certainly disappointing for those of you who are toiling away without clarity on why. 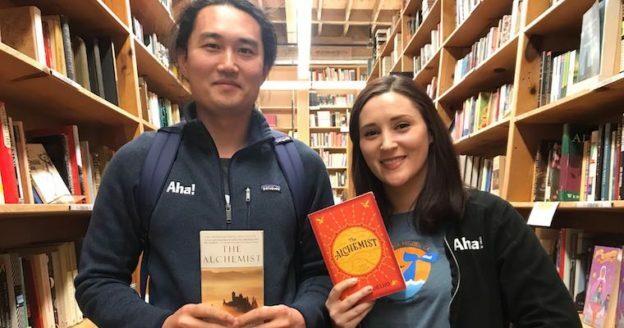 The good news is that, for the most part, this is a challenge where product managers can have a real impact organizationally. This is because every product decision you make is strategic — even if you do not always identify it as such at the time. Really, this challenge is an opportunity. Bringing strategy to the forefront requires confidence and discipline. 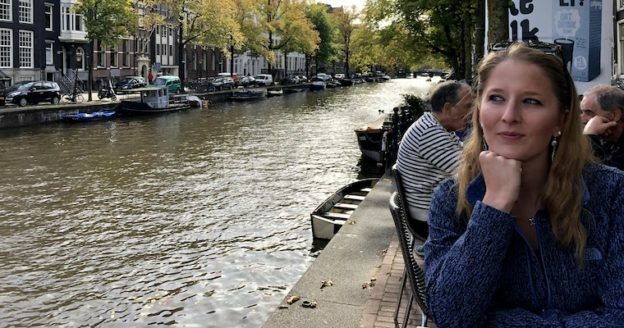 But this an area where most product managers have deep insight, as well as a position in the organization to promote ideas that you think matter most. Everyone wants to move fast — but your customers want you to be more agile most of all. Customers today expect better experiences faster and product teams find it challenging to keep up. The majority of you said being more agile is the goal, but you think teams often fail to move at a meaningful pace. There were big misses on two fronts related to agile development and innovation — planning and communication. In the planning phase, many folks said there was frequently too little preliminary research on user personas and the viability of new functionality. This is a common misstep for aspirational agile teams when, in truth, upfront planning will actually allow you to make better decisions faster. This is especially true when you can link strategy and personas to work for quick prioritization decisions. At launch, a lack of cross-functional alignment between engineering, production, sales, and marketing was to blame. 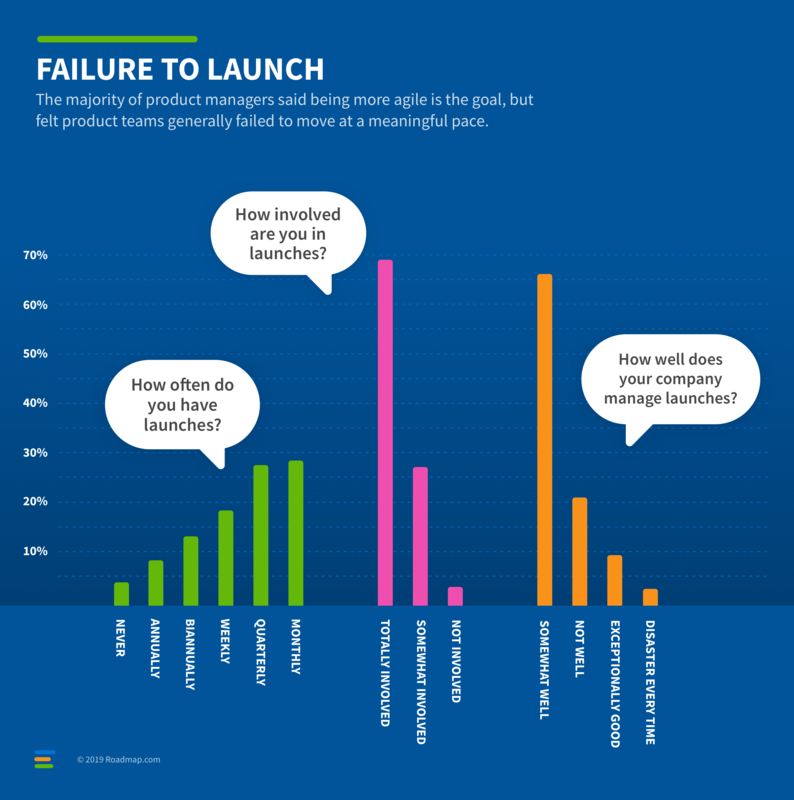 Two thirds of you said that your company only manages launches “somewhat well.” Just like strategy, this is an area where product managers are in a position to take the lead. It starts with having a clear vision and goals so the team can move quickly without second guessing which features should be prioritized, what should be ignored, and how to quickly bring new functionality to market. Ouch — the theme of product and marketing misalignment carried through in many of the respondents’ answers. From broken communication channels to missed deadlines to lack of support from marketing, the story was one of dysfunction. All this, despite more than 60 percent saying there are formal cross-functional product teams in place. What is going on? Well, you told us. You meet frequently, but the meetings and communications are not all that clear or productive. And there are no unifying goals across the groups. Unfortunately, this leads to poor launches and disconnected marketing programs. The go-to-market activities suffer and so does the value delivered to the customer. 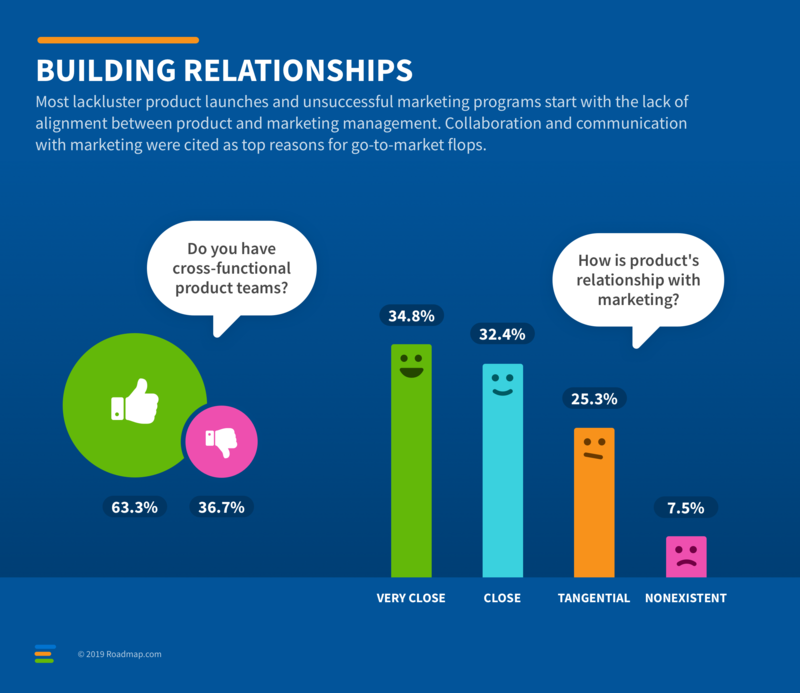 Most lackluster product launches and unsuccessful marketing programs start with the lack of alignment between product and marketing management. The good news is that product and marketing teams are talking. Product just needs to do a better job establishing differentiated product positioning and clearly explaining the unique benefits of the product. That way, marketing can share the right value propositions with the right buyer and user personas. One thing is clear — product management is rapidly maturing. But there is still a long way to go. Product management is fundamental to the success of most companies today. That is because the future of the product and the business as a whole depends upon the strategic innovation decisions being made today. 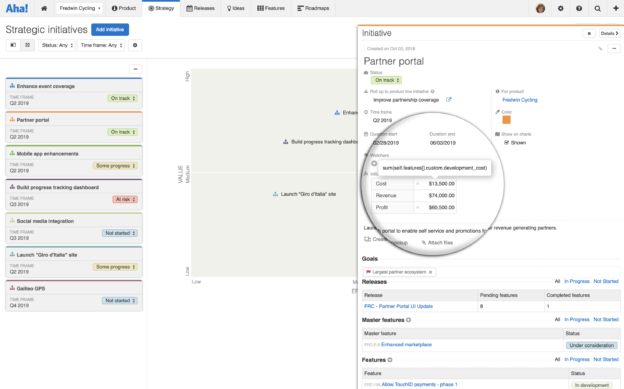 This requires clear vision, the ability to capture customer requests, prioritize what will have the largest impact, and get it efficiently built. And it requires clear messaging and efficient marketing programs. Product and go-to-market teams must work closely together — because these are the two primary groups who are responsible for delivering a complete product experience to market. 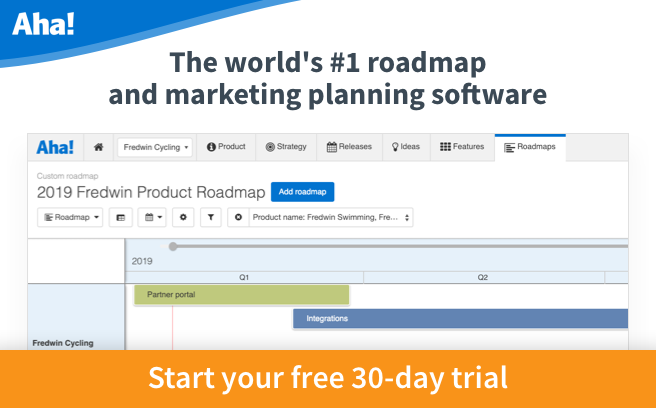 When we first decided to sponsor Roadmap.com, we wanted to further the conversation about what it means to build and market breakthrough products. So it was especially gratifying to have so many product managers respond and share your experiences doing this important work. Thank you. What else can product management do to improve how companies innovate and go-to-market? You may be wondering if you can digitally share the results and the graphics included in this post. (Also available to download here.) The answer is absolutely. You simply need to attribute it as a report from Roadmap.com that was sponsored by Aha! and link to both if you want to use the data online. Having time stretched across too many tasks is a real struggle — we see with this every day where product managers are focused on putting out fires and not spending enough time on planning and doing market validation. Even if they CAN validate an offering within the target market, a manager often can’t unpack the corporate strategy and how it connects to an individual product. Most product folks today don’t have the tools (or the leeway) to separate the big picture parts of their job from the tactical “checklist mentality” that runs so many teams. If we do get something to the point of launching, instead of planning a marketing effort strategically, we try to do a little bit of everything and hope that something sticks. The trends we see in the companies we work with are borne out in your numbers: we launch a lot of products but we don’t really do a great job of it; our companies aren’t large but we have a broad assortment to manage; we believe we own the roadmap and the strategy but we’re not always in a position to pitch directly to the decision-makers in the organization; we believe we own the strategy but our ability to support sales, marketing, and development is limited; most of us spend less than a day each month talking to the customers who buy the products that we drive the strategy for.